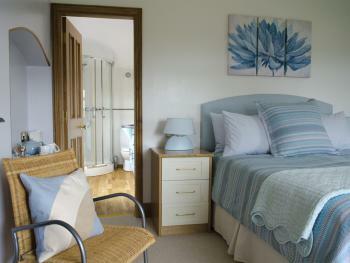 Our king sized bouble bedded room (SUNRISE) is decorated in soft blues, creams etc and is newly refurbished. The bed has a memory foam topped mattress and the room is well equipped with hospitality tray, flat screen TV with DVD playing facility. 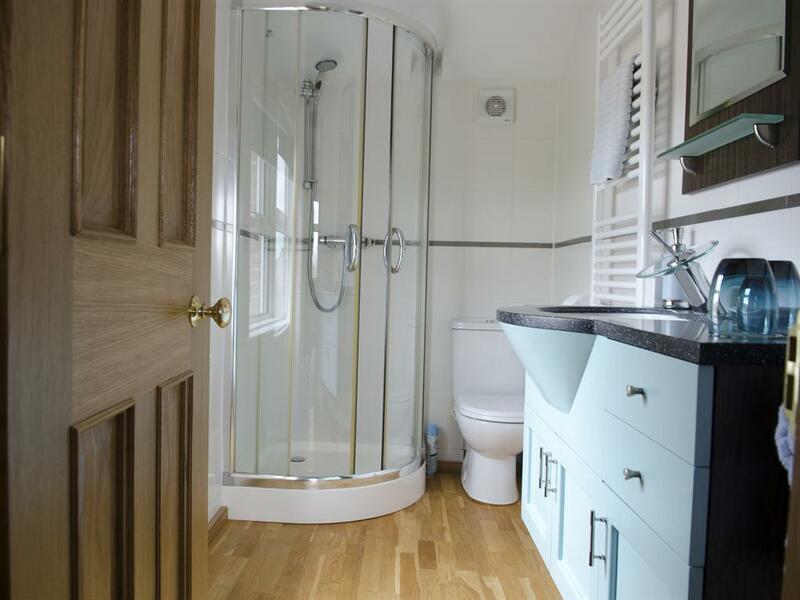 There are soft, luxury dressing gowns and slippers for your use. 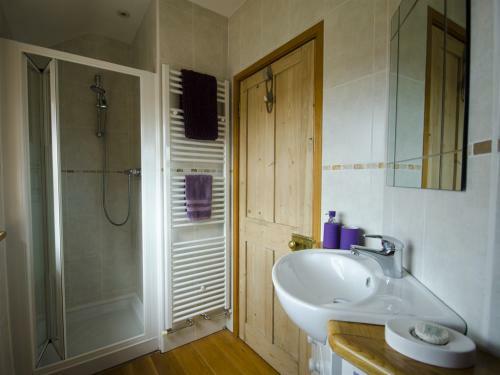 The en suite has a power shower and complimentary toiletries provided and plenty of soft co-ordinating bath towels. 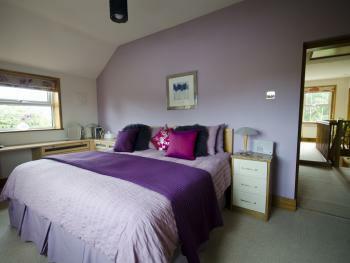 Our super kingsized bedded room (SUNSET) can be, on request, converted to a twin room. The colours are muted tones of aubergine, mauve and purple. This room has a double aspect. 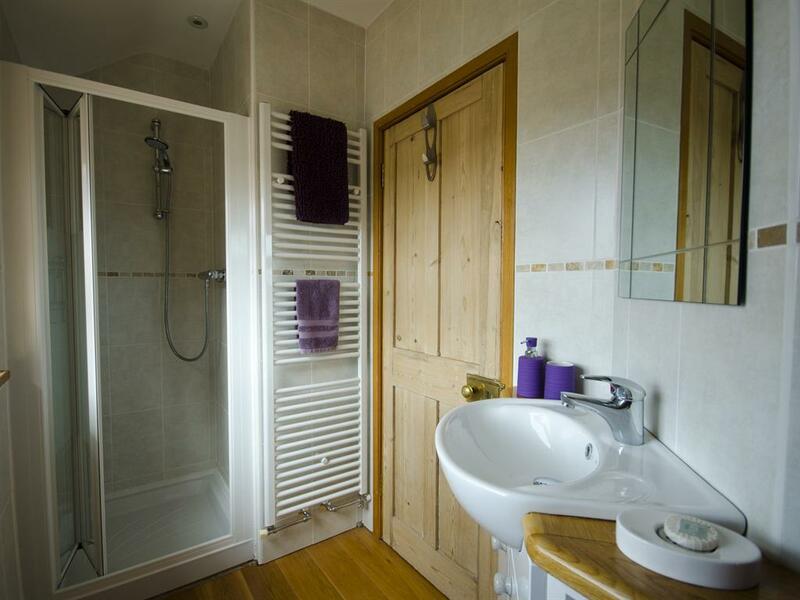 There is a power shower in the en suite which is warmed with a towel rail and oak floored. 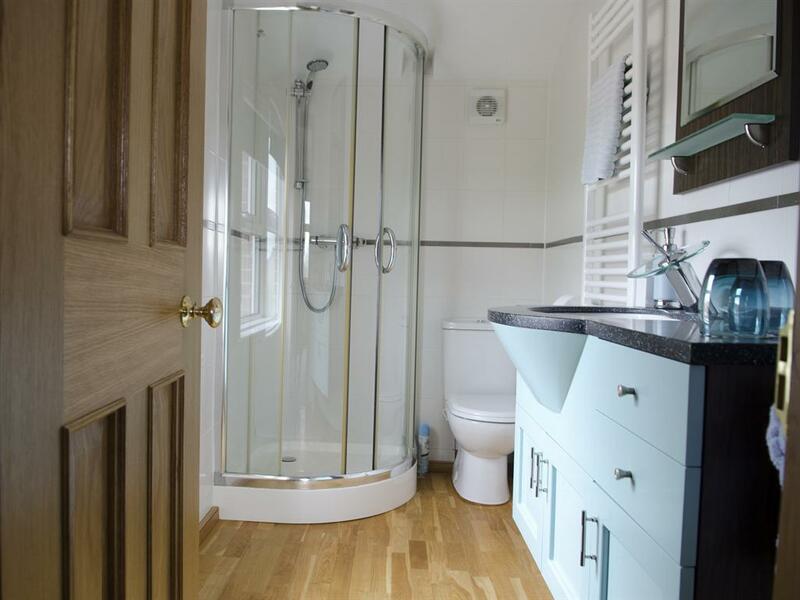 Well equipped, the room has a hospitality tray, flat screen TV with DVD playing facility, an iPod clock radio and cosy, dressing gowns and slippers provided. 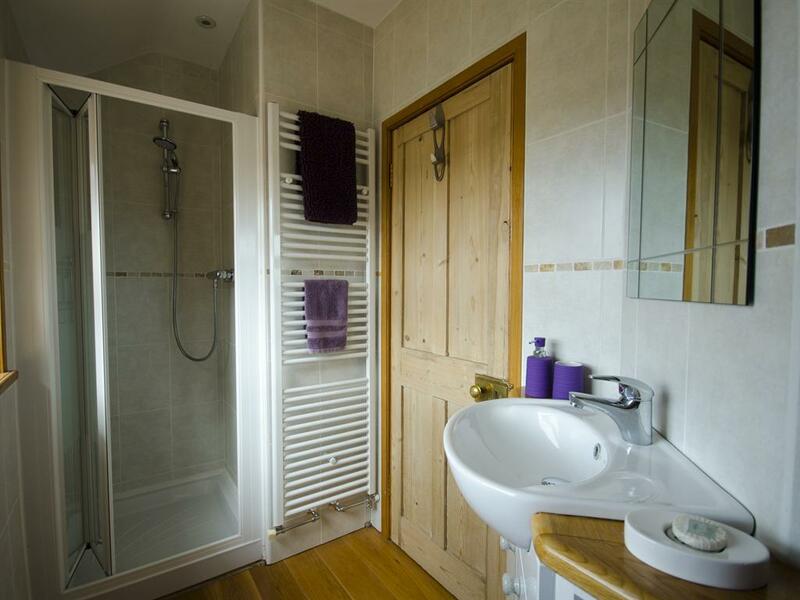 The ensuite is oak floored with a warm towel rail. 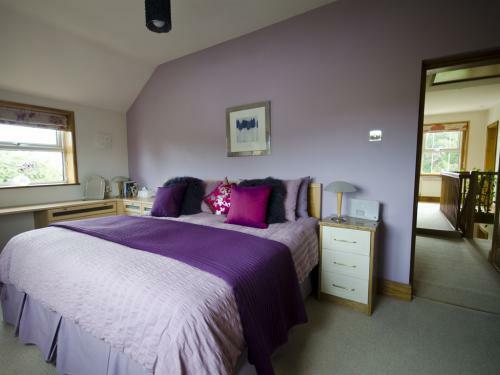 Hill View offers you a friendly, welcoming atmosphere, with a high standard of comfort, service and hospitality. 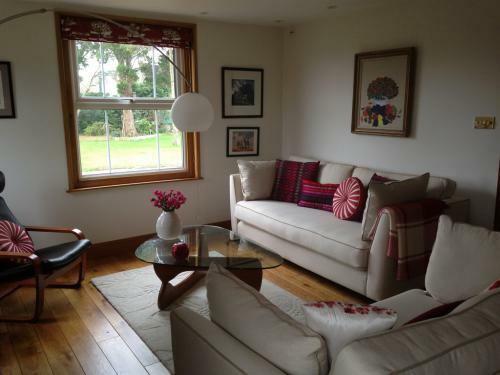 A restful break in idyllic surroundings, a central position for touring and exploring, with easy access to ‘Somerset by the Sea’. We are tucked away on the outskirts of the historic village of Westonzoyland, just half a mile from the site of the Battle of Sedgemoor, which took place in1685. 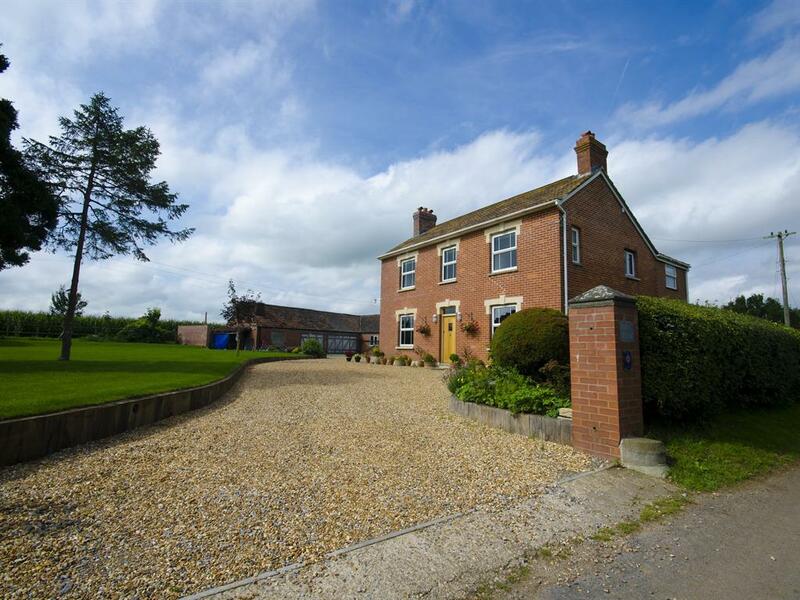 It is centrally located in the famous Somerset levels with easy access to the moorlands, caves, gorges and coastline of this lovely part of England. However, access to the M5 and A303 is nearby and the nearest beach just 30 mins away. 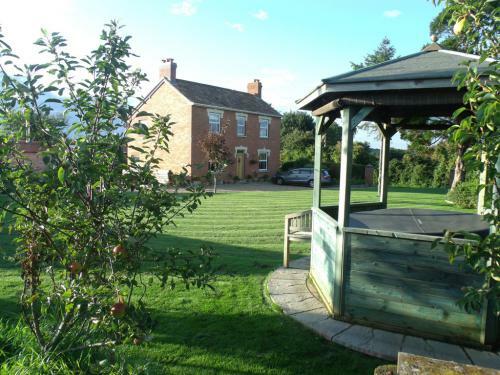 The house stands in its own grounds with a pretty garden at your disposal. We have plenty of off street parking and safe storage available if you arrive by bicycle or need any belongings stored under safe cover. The accommodation has been extensively refurbished to a high standard and the rooms are airy, light and beautifully decorated with all you need to give you a comfortable stay. 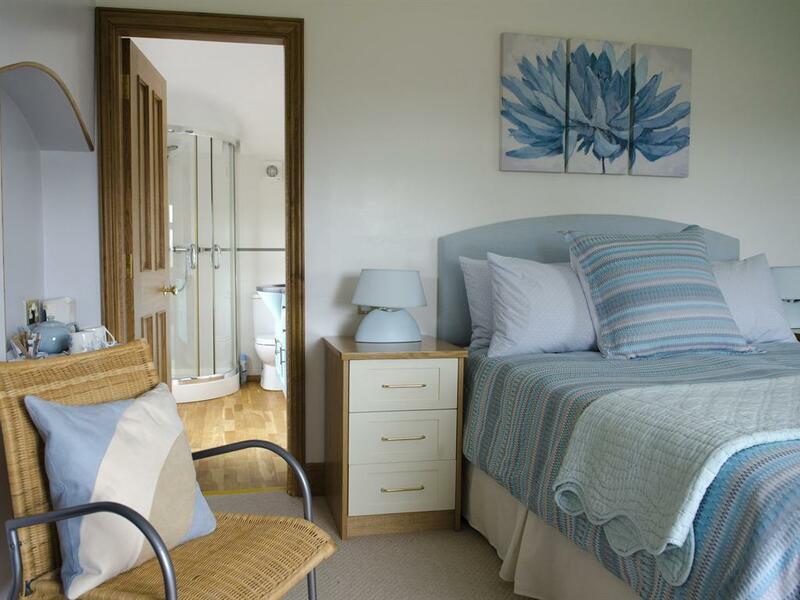 A hospitality tray, warm, cosy dressing gowns and slippers, flat screen TV with DVD playing facility as well as iPod dock radios are all provided. Free Wifi and fax, print and scanning facilities and a place to work if you are on a business trip are all available at no charge. Our breakfasts are all freshly cooked to order using local produce wherever possible and we will always try to make available any items you enjoy that aren’t on our menu, if you let us know before you arrive. 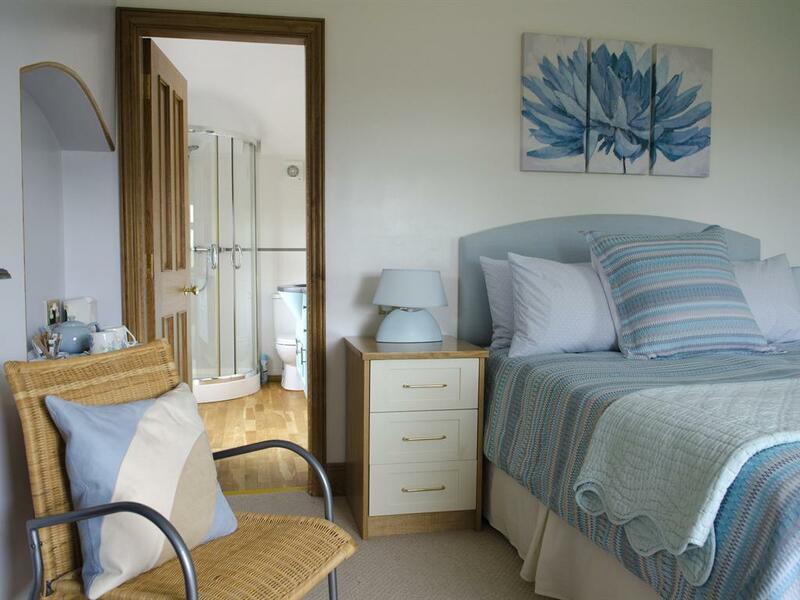 We hope to be able to respond positively to your requests or additional requirements as a really pleasant, comfortable and relaxed stay is our objective for you. We look forward to welcoming you to our home! Leave A303 at roundabout signed A372, Langport. Follow A372 for 8m until you reach T junc, then turn left and then right by Esso garage signed Bridgwater A372 to Aller. Continue to Othery, then turn right, then immediately left fork, signed Bridgwater Follow A372 past Middlezoy. Continue to the Westonzoyland village sign. Take the first turning right into Liney Road. Drive past houses and farm on the left – follow a bend in the road and then a few 100 yards on the left is Hill View. From junction 23 take1st exit at top of slip road. Continue to T junction and turn right, to Bridgwater (A39). At roundabout take 2nd exit, continue to junction along winding road then left to Westonzoyland. Continue til entering village past village shops then right bend past pub and church. Go left at next fork, then left at T junction. This is Liney Road. Continue past houses, sharp right, sharp left then Hill View is on the left.